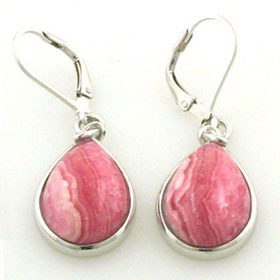 Large rhodochrosite pear drop pendant in sterling silver. This collection of rhodochrosite pendants features top quality gemstones chosen for their superb intricate patterning and intense colouring. These make each piece unique. This particular pear drop gemstone has pretty banding. See our collection of sterling silver chains for the perfect chain. 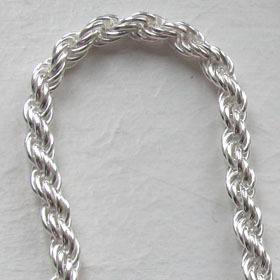 The chain we chose to feature is our silver rope chain, width 4mm (see below). This is a solid silver rope chain, substantial and graceful either with or without a pendant.